Simultaneous launch later this year for PS4 and Pc. 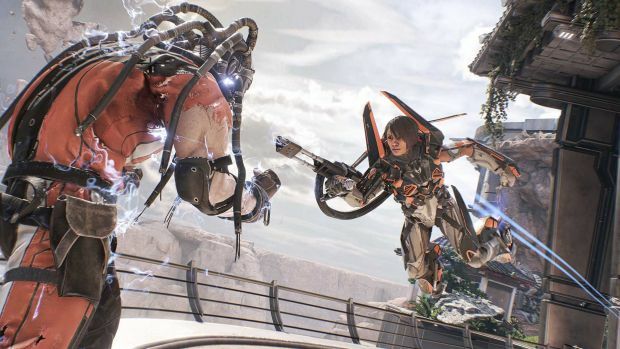 Boss Key Productions’ LawBreakers will finally be coming to a home console. Yes, only one. The team based shooter from former Gears of War designer Cliff Bleszinski has been announced for simultaneous release on PS4, PS4 Pro and PC later this year. Bleszinski said that, “With LawBreakers, we wanted to honor the skill-based FPS games of yesteryear, all while embracing the new and pushing the genre in our own unique way.We found that messing with gravity, and having it mess with the player, adds a dynamic vertical element that will challenge players of all skill levels to go above their limits. The game’s business model was also announced. It will have a base price of $29.99/£24.99/€29.99 and offer free content updates in the future. There won’t be a Season Pass and the game’s Stash Box system will simply offer cosmetics (the inclusion of micro-transactions wasn’t confirmed). What are your thoughts on LawBreakers heading to PS4? Let us know below.